It's April! Which means Spring is finally here and I thought it would be a good time to post another installment of Catching Up With Deanna Durbin. 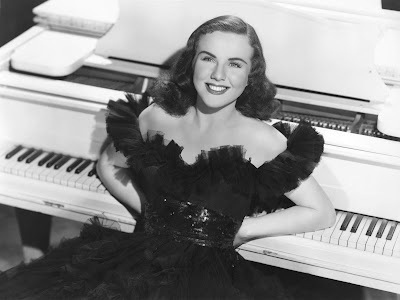 On April 17th, 2013, Deanna passed away at the age of 91 in France. It will be six years this year and it seems like it hasn't been that long. I am happy that I am able to talk about the work she has left behind. I am thankful that I discovered Deanna and I am excited about taking this journey through the rest of her filmography with all of you. The film I will we talking about today is called I'll Be Yours. 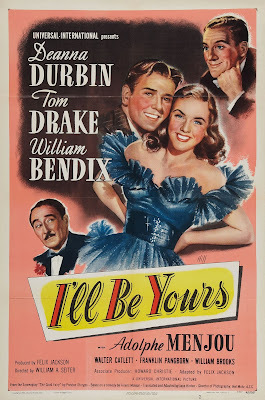 This film co-stars Tom Drake, William Bendix, and Adolphe Menjou. This would be one of the last films Deanna made for Universal and the first she made after giving birth to her daughter Jessica. The movie starts out with Louise Ginglebusher (Durbin) leaving her small home town to try and make a name for herself in New York City. A nice young man picks up her hat off the street after it blows off her head. She meets him again in a cafe where she is having lunch, his name is George Prescott (Drake) and she finds out that he is a lawyer. She also meets a waiter named Wechsberg (Bendix) while she is at the cafe and they become friends. She becomes an usherette at a movie theater after meeting with an old friend of her father's. She sees Wechsberg at the movies one night and claims he is her husband when a pushy guy tries to pick her up. He goes along with the scheme and invites her to a fancy party the next night. She gets a fancy dress and shows up to the party the next night. She meets a meat magnate named J. Conard Nelson (Menjou), she tells him that she is one of the entertainers and proceeds to sing a song. After she is done he offers to fund a Broadway show around her. 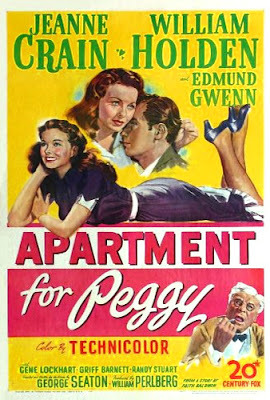 Louise, sensing he is just physically attracted to her, tells him that she is married to a lawyer named George Prescott. Nelson goes to see George the next day and tries to offer him a job. George turns him down at first, but accepts after Nelson tells him that he needs a good man on his staff to set a good example for the others. Louise comes to George's office and runs into Nelson but fends him off. She ends up spending the day with George and it ends with him proposing to her, but she tells him she can't at this time. The next night Nelson is trying to court Louise and she wants nothing to do with him. George shows up at his place and finds Louise there. He is confused until he finds out about how Louise had lied. He is understandably upset and storms out of Nelson's place. Nelson tries to smooth things over with George later on, but he is having none of it. The meat magnate invites him to Wechsberg's new restaurant, but he doesn't want to go. Louise is suppose to sing and is sad when she finds out George isn't coming. But he shows up as she is about to start singing. He forgives her and they dance while she sings a love song to him. This movie was okay. I didn't love it, but I didn't hate it either. It is definitely a middle of the pack movie for me. Tom Drake was the one who stood out the most for me in this film. He brought a sweetness and sincerity to George Prescott. It takes a lot for him to forgive Louise for her lie. Also, Tom Drake looks really good with facial hair. I liked Louise and Deanna seemed like she was having fun with this role, but things could have been easier if Louise had told Nelson she wasn't interested. I know it would have destroyed the plot of the whole film and after watching a few more of her films over the past few months, I know why Deanna was annoyed with these kind of plots. 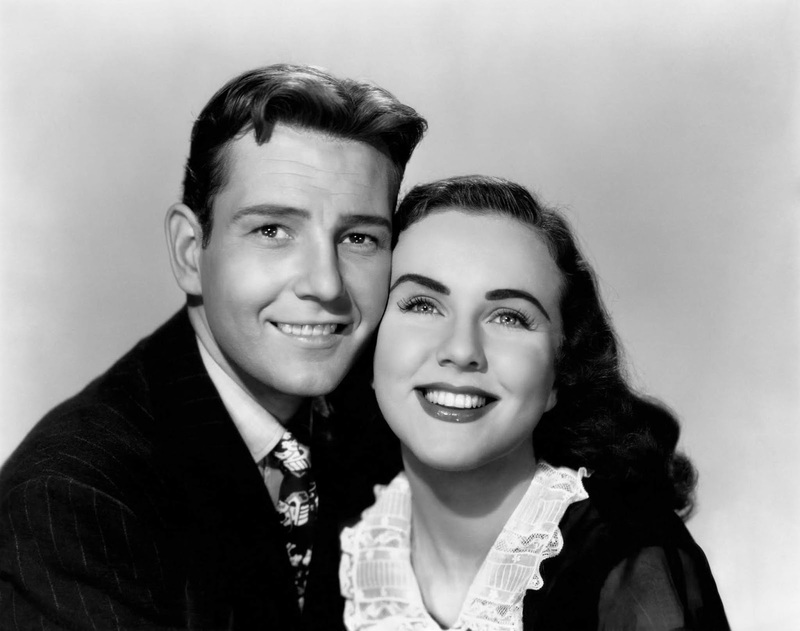 But the best part of the film has to be when Deanna and Walter Catlett, who plays Mr. Buckingham sing the Cobbleskill School Song. Honestly, if you want to skip this film, you can. But if you want to see Tom Drake with facial hair, you should watch it.